Last week was broadly positive for land-use and housing policy in North American cities. Along with Vancouver City Council’s decision to allow low-density neighbourhoods to add duplexes without rezoning, Cincinnati just joined a growing list of cities eliminating minimum parking requirements on new development. Eliminating mandatory minimum parking requirements not only gives people more say over how they live their lives (and use their property) but it’s also an important step towards improving housing affordability. Vancouver and other Canadian cities should take note. First, what are parking requirements and why are they a problem? Broadly speaking, minimum parking requirements are obligatory onsite parking spaces included in any new development of homes or businesses. For example, before its recent council decision, Cincinnati required one parking space per new residential apartment and one for every 400 square feet of retail space. The same is true for Canadian cities, with Toronto and Vancouver requiring at least one space per residential unit in most of the city. There are two core problems with this approach. First, such requirements assume that city hall knows how all people want to move (by car), and the “highest and best use” for lots (parking), better than citizens and businesses. Rather than dedicating finite staffing resources towards such assumptions, municipal governments should let the choices of homebuyers, renters and businesses dictate what is valuable to communities. Second, minimum parking requirements are costly. Few have written more on this than UCLA urban planning professor Donald Shoup who in a recent study estimated the cost of parking structures in 12 American cities in 2012, and found that the average aboveground space in the cities examined cost $24,000 while the average underground space cost $34,000. It’s not immediately obvious why people should be forced to pay $30,000 for a parking spot they may not use. In addition to direct costs, there are several indirect costs. For example, mandating parking can leave less room for other uses such as housing. This is especially problematic in cities such as Vancouver and Toronto, because creating artificial scarcity of land in urban neighbourhoods (by requiring parking) can further prevent the supply of housing units from keeping up with demand, in turn pushing up home prices and rents. Moreover, these requirements can have the perverse effect of pushing people—especially those unable to afford downtown rents—out to more car-dependent neighbourhoods. Ironically, prioritizing parking over housing can spur even more demand for downtown parking. This vicious cycle can have a significant impact on downtown land use. For example, more than 40 per cent of downtown Winnipeg’s surface area is dedicated to parking. While there are obvious reasons to have parking in urban neighbourhoods, it’s unclear why city hall opts to make people and businesses finance more parking than they might be willing to pay for, given the choice. It’s hard to see why markets can’t determine the amount and location of parking required in a given city, in the same way they help determine the amount and location of convenience stores and restaurants. Conceivably, over time, markets may move further in one direction or the other than we’d prefer. 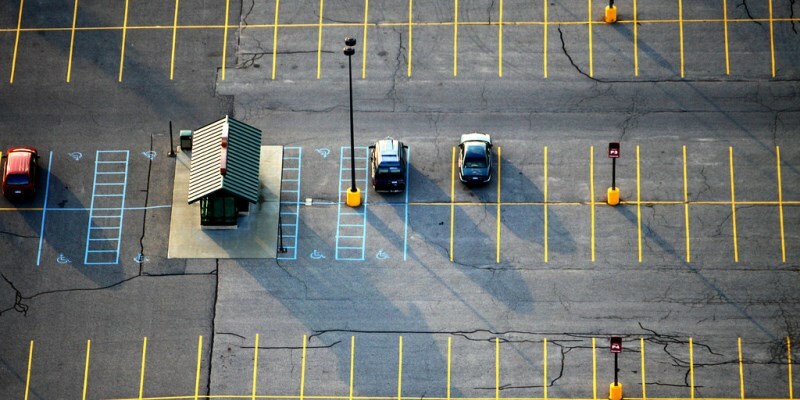 We may feel there isn’t enough accessible parking for people with disabilities. Or new technologies such as ride-sharing and driverless cars may decimate parking demand. But it’s preferable to let markets sort out parking to the greatest extent possible, and tweak around the edges to address specific concerns as they arise. In sum, mandatory parking minimums can be costly for Canadians living in urban centres. The burden is particularly heavy for lower-income families that do not own cars. So, as Cincinnati joins a growing list of American cities (including Buffalo and Hartford) eschewing unnecessary and costly parking requirements, it’s high time Canadian cities do the same.